In a June 22, 2017 decision, a tribunal at the International Centre for Settlement of Investment Disputes (ICSID) ruled that it lacked jurisdiction to hear an arbitration case against Cameroon, accepting the objections on jurisdiction related to the existence of an investment and the investor’s nationality. In particular, it ruled that the investor did not have a head office in Luxembourg and## had abused its rights to “give the impression that it had a Luxembourg head office” (para. 365). 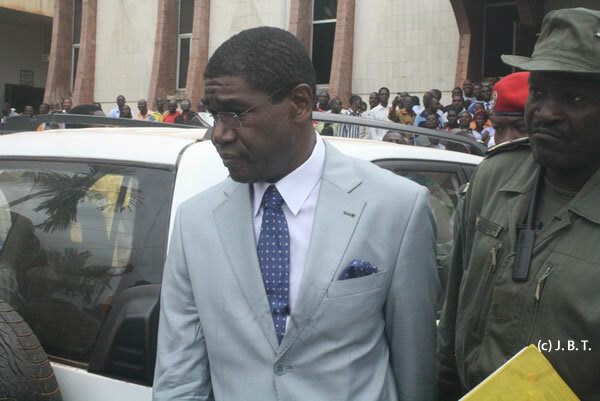 Capital Financial Holdings Luxembourg SA (CFHL), a Luxembourg-registered company constituted in 2005, is owned 90 per cent by the company Fotso Group Holding Limited (FGH), a Cypriot company, itself owned 99.8 per cent by the Cameroon national Yves-Michel Fotso. Between 2006 and 2008, CHFL acquired 46.47 per cent of the shares in Commercial Bank Cameroun (CBC) and granted it shareholder loans. CBC is a financial company under Cameroon law in which Yves-Michel Fotso and his father were already founder shareholders. Following an audit of CBC’s activities in 2006 because of irregularities in certain transactions, the Central African Banking Commission (COBAC) took several measures which led to CBC being placed in provisional administration in 2009. Thus, the Cameroon government set in motion a procedure for the restructuring of CBC, and a Cameroon court order the seizure of CFHL’s shares in CBC in 2013. On April 15, 2015, CHFL filed a request for arbitration with ICSID against Cameroon for violation of the bilateral investment treaty (BIT) concluded with the Belgium–Luxembourg Economic Union (BLEU). The company considered that it had suffered expropriation of its investment in CBC because of the measures taken by Cameroon and sought compensation. Cameroon contested the jurisdiction of the tribunal based on the ICSID Convention and the BIT, and further invoked abuse of rights by CFHL. The principal question raised here was whether the procedure of prior six-months amicable settlement envisaged in the BIT was “a necessary condition for the consent of the Parties” to the arbitration (para. 143), and, if so, whether CHFL has satisfied that condition. In the event, the BIT envisaged a direct arrangement between the parties to the dispute, and, failing that, by diplomatic means between the state parties. Having decided not to rule on the question of whether it was a question of jurisdiction or admissibility, the tribunal concluded that the parties had an obligation of means(para. 159). After observing that the Claimant had taken adequate steps within its power to reach an amicable settlement, it concluded that the conditions for the consent of Cameroon were fulfilled. The tribunal then turned to the question of CFHL’s nationality under the BIT, the ICSID Convention and Luxembourg law. While several aspects were discussed, the judgment focused on the definition of “siège social.” Indeed, the BIT provides two cumulative nationality criteria for legal persons: the place of registration (which Cameroon did not dispute) and the place of the head office. After deciding that it was necessary to define the concept of “siège social” under Luxembourg law (para. 211), the tribunal analysed Luxembourg case law and arbitration decisions which discussed similar questions, notably the Tenaris & Talta-Trading c. Venezuela case. Following the reasoning of the arbitration panel in Tenaris (para. 263), the tribunal finally concluded that “siège social” referred to the “actual headquarters” and thus meant the place of the company’s central management. It then identified four elements for determining the “siège social”: the place of shareholders’ general meetings, the place of meetings of the board of directors, the place of the company’s accounting, and the place where the company and accounting documents are kept (para. 237). It reached the same conclusion interpreting the concept of “siège social” in customary international law (“droit international autonome”) (para. 268). From its analysis of the ICSID Convention, the tribunal determined that CFHL’s nationality and in particular the existence of a head office in Luxembourg should be assessed on the date when the parties consented to submit the dispute to arbitration, namely April 15, 2015. After a detailed examination of CFHL’s activities from 2005 to 2015, the tribunal concluded that “it cannot admit that the Claimant had its actual “siège social” in Luxembourg at the time of the facts” (para. 356). Furthermore, the artificial nature of the “siège social” led the tribunal to examine the existence of an abuse of rights, as invoked by Cameroon. On this point, it found that “the total absence of activity of the Claimant for such a long period and its sudden ’revival’ after the notification of the dispute are indicative, in this respect, of a purely formal existence at the critical date…Even if the Claimant had not been specially formed to enjoy the protection of the Treaty, it was certainly ‘revived’ to give the impression that it had a “siège social” in Luxembourg, to satisfy the conditions of nationality laid down in the Treaty. Consequently, the Claimant’s conduct must be qualified as abusive, thus depriving it of the benefit of the procedural and substantive provisions of the Treaty” (paras. 364 and 365). Cameroon also contested the existence of an investment in the meaning of the ICSID Convention and the BIT. The tribunal adopted three criteria for objective definition of investment, namely the substantial financial contribution, the duration and economic risk. In this case, it found a confusion of assets in the management of the CFHL, FGH and CBC companies, the circularity of the transactions between these companies and the absence of evidence of a financial counterparty for the purchase of the CBC shares and the loans granted to it by CFHL. The tribunal therefore concluded that the Claimant “did not make a substantial contribution on its own account to CBC … [and] neither did it incur any risk in relation to these transactions” (para. 457). CFHL, therefore, according to the tribunal, did not make any investment in Cameroon. In short, the tribunal declared that it lacked competence to hear the case. The arbitrator appointed by the Claimant gave a dissenting opinion contesting the analysis and conclusion of the majority on the nationality of CFHL and the existence of its investment. The tribunal, considering its discretion and the existence of an abuse of process by the Claimant, ordered CFHL to bear all the costs of arbitration of the two parties to the dispute, each party to settle its own expenses and legal costs. Comments: The tribunal was composed of Pierre Tiercer (Chairman appointed by the parties, of Swiss nationality), Alexis Moore (appointed by the Claimant, of French nationality), and Alain Pellet (appointed by the respondent, of French nationality). The judgment is available in French only at https://www.italaw.com/sites/default/files/case-documents/italaw9017.pdf. The dissenting opinion of Alexis Moore is available only in French at https://www.italaw.com/sites/default/files/case-documents/italaw9018.pdf. Suzy Nikièma is International Law Advisor with IISD’s Investment Program and Regional Coordinator for Africa of IISD’s Economic Law and Policy Program.